At least eight are dead and 118 wounded after a car bomb rocked the Lebanese capital of Beirut, AFP reports. The attack in the majority Christian neighborhood killed a top-ranking security official. 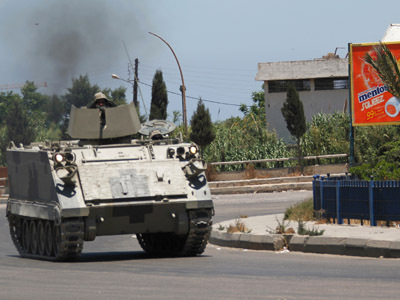 Wissam al-Hassan, the head of the Information Branch of Lebanon's Internal Security Forces, was the target of the deadly attack, security sources told the Daily Star. Lebanon’s Al-Jazed TV reported that Hassan died in the blast. Crowds took to the streets on Friday evening, blocking the main roads leading into Western Beirut with burning tires to protest the assassination of Hassan. 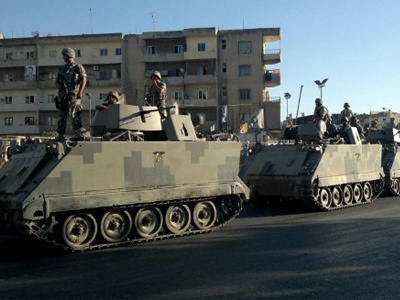 Skirmishes were reported on the dividing line between Sunni and Alawite neighborhoods in the northern Lebanese city of Tripoli. Security forces have been dispatched to keep the peace. 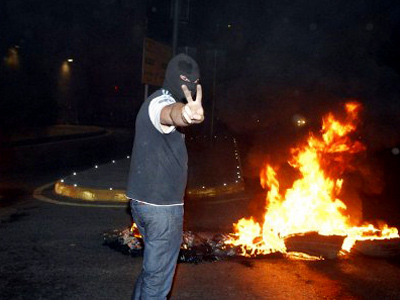 Protesters in Lebanon’s south have also reportedly attempted to block a highway leading from Damascus to Beirut. Former Lebanese Prime Minister Saad al-Hariri accused Syrian president Assad of orchestrating the assassination of Hassan. The assassination of Saad’s father and former Lebanese prime minister Rafik Hariri sparked the 2005 Cedar Revolution, which demanded a withdrawal of Syrian troops from Lebanon and the cessation of Syria’s meddling in Lebanon’s affairs. The blast rocked the city’s Sassine Square in the predominately Christian Ashrafieh neighborhood on Friday. 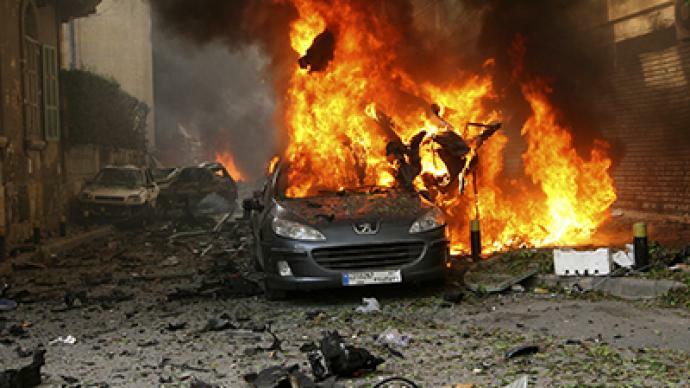 The explosive-laden car was detonated during rush hour at 3:00 p.m. local time as many students were leaving school, the Lebanese Daily Star reports. Plumes of black smoke were seen rising from the eastern part of the city. At least seven cars were set on fire during the blast, an MTV correspondent on the ground said, and many more were battered by falling bricks. Considerable damage to the surrounding buildings has also been reported, with a tangled mess of wires, railings, and balconies crashing to the ground. Human body parts were seen scattered on the roads. Flying glass from windows shattered during the blast wounded more than 20 people, the Lebanese National News Agency reports. Four of the wounded transported to the city's Jeitawi Hospital were children. Red Cross workers were seen evacuating bloodied casualties from a burning building. The explosion occurred 200 meters from a local Kataeb political headquarters, better known in English as the Phalanges Party. The Phalanges are a right-wing Christian political-paramilitary organization which played a prominent role in the Lebanese Civil War. The country's Interior Minister Marwan Sharbel arrived at the scene shortly after the blast. It was the first car bombing to Beirut since January 2008, when Lebanon’s top anti-terrorism investigator was killed along with three others. “It’s not just that this is a kind of a natural process that there are overlaps of various groups over the borders of Syria into Lebanon, it’s also that it’s perhaps in the interest of one side to really internationalize this crisis,” he said. 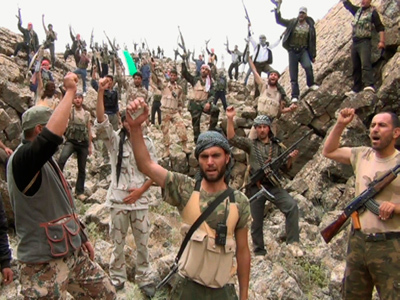 The deadly civil war in neighboring Syria has pitted primarily Sunni rebels and the government of President Bashar al-Assad, who is from the Alawite Islamic sect. 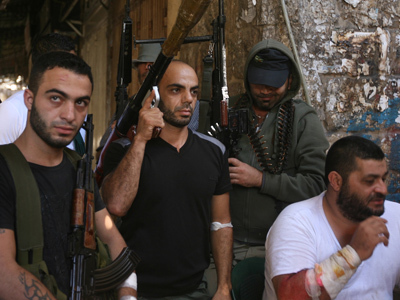 Unresolved tensions between Lebanon’s Sunnis and Shiites communities stemming from the 1975-1990 Lebanese Civil War have been inflamed by the Syrian conflict, which had claimed an estimated 30,000 lives. On Friday Syria condemned "the cowardly terrorist attack" in Beirut. 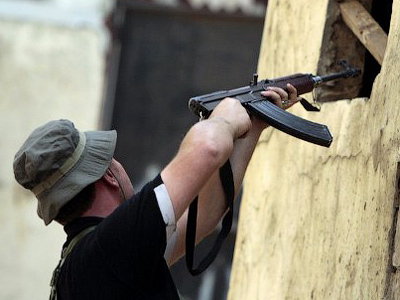 Syrian spillover: Recipe for another Lebanese civil war?